Quang Binh (VNA) – Tourism packages connecting famous destinations in the central province of Quang Binh and Thailand’s northern province of Chiang Mai will be offered to tourists from both countries thanks to the opening of Dong Hoi-Chiang Mai air route. More than 140 travel companies from Quang Binh province and Thai northern localities like Chiang Mai, Chiang Rai, Lampang and Payao popularised and exchanged standout tourism products of their own localities at a conference held in Dong Hoi city on August 25. 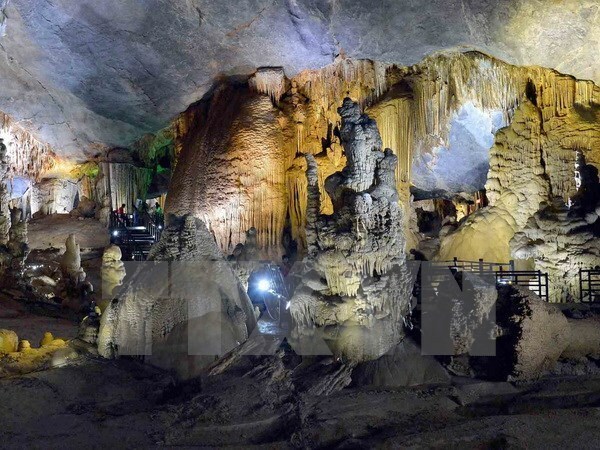 Quang Binh and Chiang Mai provinces own huge potential to develop tourism as they have diverse tourism products and share numerous similarities in nature beauty, historic-cultural relic sites, and cuisines. After the conference, Vietnamese and Thai travel companies inked contracts to supply tourism services via the Dong Hoi-Chiang Mai air route. Earlier, the local Department of Tourism joined hands with the Tourism Authority of Thailand and Chiang Mai Tourist Business Association organised fam-trip and press-trip for Thai travel agencies and press to Vietnam.